If you follow Korean fashion, you’re probably familiar with the accessories brand Louis Quatorze. It was first founded in 1980 by Paul Barrate. A French leather artisan, his vision for the brand was to incorporate art, sophistication, and an artisan spirit to create beautiful, luxurious accessories. We are very excited to announce that Dramabeans has partnered with Louis Quatorze for a special giveaway! Three lucky winners will receive a Louis Quatorze bag. The giveaway is open internationally and will end on Monday, February 18, 2019. If you want to keep up with Louis Quatorze’s latest accessories, you can follow them on Instagram. Good luck! Leave a comment below telling us which K-drama character’s fashion speaks to you and which bag will help you achieve this look. 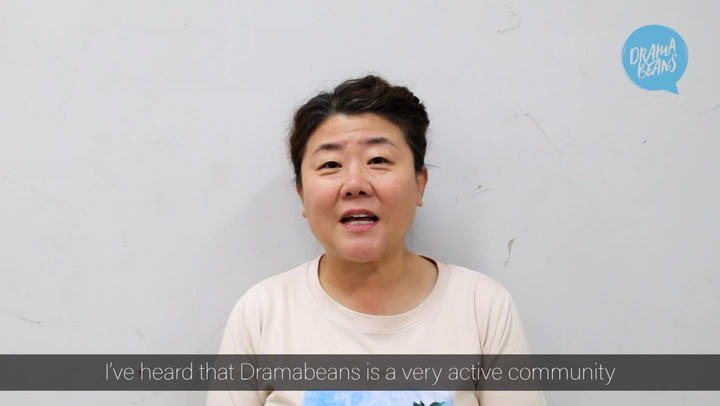 Make sure to use a registered account on Dramabeans so we can contact you if you win. I want to be reincarnated as Oh Hye won in my next life. Her perfection would be set off by the Secure the Bag, as she was the ultimate (subtle) enforcer! I'd love to be Shim Cheong and be able to "Secure the Bag' to stash my pearls and to go with any outfit I pull out of my Bin!! I loved Sa Geum Ran's makeover style (or should I say Han Tae Hee's ;) ) in Birth of a Beauty? The "Treat Yourself" quilted crossbody is perfect with a dress and pumps or for dressing up a blouse and dark jeans, to achieve that confidence every girl can achieve. I do not dress like her but who is inspiring me is Dan-yi in Romance is a Bonus Book. I'm the same age as the actress and I love the colors, prints, and textures. Not all of it is my style or appropriate for my work , but she looks so fresh and bright and I'm taking some inspiration from that. So, I am going to go with color and say the Leather String Bucket Bag though that Eclat is giving me strong second lead feelings. - about how I combine her style with my own. What I would really love is a "Treat Yourself"/Quilted crossbody - an extra dash of red to go with the more serious formal wear. The boho chic Song Ji-won of Age of Youth is my fashion goddess. She is a goddess because she will never die. To help me achieve the Song Ji-won look, I need the Outfit on Fleek. Second reason? I can use that blue leather string bucket bag to hurt anyone who attempts to take Ji-won away from her Sung-min, prematurely. Right now, right this minute, everything about Kim Hae sook's wardrobe in Babel. Just looking at it makes be feel like a badass. And the 'Paint The Town Red' handbag will help me get there. Yoon Ji Ho and her statement coats in Because This Is My First Life speaks to my simple but chic style. A"Treat yourself" bag would be a statement piece to go with my outfits. I love Yoo Inna in anything and the mini flap bag would make me so happy! I want to look as good as Soo-hyun did in Boyfriend. She looked so casual but sophisticated at the same time. Its like, she has her own closet of Treat Yourself with different colors. I loved Lee Yoo Ri's style in Father is Strange. And I think "Slay the day sis" would fit her simple, but chic style nicely. I just wanna say... Louis XXV (Shopping King Louis) has the best fashion sense😁. He’ll probably agree on Paint the Town Red. I Hear You Voice?? Wow that drama had some of the best clothes and accessories ever! The Secure the Bag one looks JUST like the purse both Hye Sung and Do Yeon would have while shooting dagger looks at each other in front of the elevator, and I love it. Cheon Song-Yi from My Love from Another Star would look super fashionable with the slay the day sis purse. It's perfect for a famous Hallyu actress. The Outfit on Fleek one reminds me of every Gong Hyo Jin character ever. She always has this lovely casual chic style that is quite unique! Well, nobody ever said I dislike purses! I just love them. The Treat Yourself one is the ultimate luxury mini purse which reminds me very much of Secretary Kim Mi So. Although I guess all the things she needs on the go won't fit in this purse, but I still would love it along with her soft shirt and pencil skirt style. I absolutely loved all of Han Hyo Joo's clothes in W! They were always so beautiful! (specially the dresses!) and I think the Secure the bag would work perfectly with the look! chic but cute! Secure the bag would definitely help me achieve her chic, sophisticated look. I was bluffed by Shim Chung on The Legend of the Blue Sea. The Slay the Day Sis is her go-to outfit I bet! I've been killing myself laughing over the last few episodes of Goblin and the Treat Yourself's fuzzy jacket is legit Sunny, so the bag must be a perfect complement to her style. Aww, after so many years of kdrama watching, I still love Yoo Inna's wardrobe in My Secret Hotel. It was professional yet stylish, classic but with modern touches, feminine, soft but still the clothes of someone who could get things done. The drama wasn't great, and by the end I was basically watching to see what new outfits she'd be wearing and secretly imagining myself in them. I'd pick the red, treat yourself quilted crossbody bag because it looks like something she'd sling across her shoulders on the way to take care of some problem outside the hotel. It's functional and professional but just different enough to tell the world that she's different too. Mirror mirror on the wall are we really going to act like I can hear your heart's lead Jang Hye Sung wasn't the baddiest b*tch of them all ?!?! We know our Queen Lee Bo Young's classic 2013 character would've loved and rocked that leather briefcase as she tore everyone to shreds in the court of law. I love strong and bold female leads and Jang Hye Sung is just my aesthetic as a law school hopeful. Funny that I didn't need the clarification, and I'm not at all good with drama character names. I wonder if Ma Roo is an unusual name in Korea. His name was especially humorous as it translated to River Bridge. There are a lot of Maroo pizzas, might be closer to the common side. I miss that writer. I want to be reincarnated as Han Se Gye in my next life, she pulled off every outfit from the 'i'm too tired to do anything look' to the 'i am a top star look'. The "treat yourself cross-body" embodies class while making a statement. It can also be paired up with most outfits to take it from casual to classy. Hina Kudo/Lee Yanghwa in Mr. Sunshine!! Her fashion there is something that I would not be able to hold but her entire wardrobe spoke to me! Hina, with all your perfectness in Mr. Sunshine, you deserve to Treat Yourself!! neoneun naleul mid-eoya haemida ..( please correct me if I'm wrong) haha ! Secure the bag + coach Kim of sky castle . Yes . I could be the next Kim seo hyung ! I want to be that chic dark character ! The Sky castle effect hasn't worn off my mind yet so I want to embody it ! If I could afford her wardrobe hands down Cheon Song-Yi from You who came from the stars is my fashion goddess. The treat yourself bag works because like her character's wardrobe choices it is bold, rich, striking and elegant. The kind of person this would work for is someone like Cheong song Yi who exudes confidence and is simply fabulous. Go hye ran dominated the screen in misty . I loved her sharp office looks. Who doesn't love a smartly dressed woman ? I think paint the town red would go perfectly for a broadcast ! I sat through the entire drama - my fair lady only for Yoon eun hye and for her impeccable fashion sense . Personally I love her on screen and off screen fashion ! Treat yourself suits Kang hye na the most . I would like to strut into a company wearing all that anyday! I love Cheon Song Yi's (Jun Ji Hyun) fashion pieces on My Love from Another Star! Her style will go pretty well with the 'slay the day sis' purse. All of her looks on that show were a fashion statement on their own! P.s. you have to hurry up before he decides to go into the past! There are one or two styles in older dramas that I'm using as pegs in my occasional shopping for clothes. And they are both worn by Gong Hyo-Jin in The Producers as Ye-Jin and Ae-ung in The Greatest Love. The Mini Flap or Quilted cross body would be a nice treat and will slay the day. woo su ji (esom) in btlof was such a badass. But a total chocolatey in the centre . But thats exactly who I want to be. Outfit on fleek resonated with me and my inner su ji . And I've completed all of my 5 looks ! Yay! I'm very lazy when it comes to dressing up. I just grab the nearest shirt or tee with a pair of jeans whenever I go out. In that sense, I loved Cha Ji An's style in I remember you. Simple,comfortable while being trendy. Coupled with the mini flap, I could slay the day just like she did. Omo! I really loved Kim So Hyun’s bags in her drama wa back 2015 entitled “Who are you? School 2015”. I’m so inlove of her entire outfit plus when she wear jacket. I love her back pack and sling bags. Kim So Hyun’s bag, style and outfit in her drama “Who are you? School 2015” look probably the “stay the day sis” style. The mini flap is the somehow look alike. Anyway, I’m still thankful to have the chance of winning this item. I love jinshim/yoonseo's office style in reach of sincerity! I think the bucket bag would be a great accent! I love Yoo In Na's style. Her sassy, fun and charm would be reflected with "Treat yourself" handbag from Louis Quatorze just like her character as Oh Jim Sim aka Oh Yoon Seo from Touch Your Heart (Reach of Sincerity). My fashion inspiration has been Cheon Song Yi from My love from another star since it aired in 2013. Her fashion moments have been such an inspiration ever since and I see myself having a Song Yi moment with the 'Treat Yourself'bag. Such a lovely color. Girlfriend will always and forever be my spirit animal. If God is a woman, she would probably look like Cheon Song Yi. I personally think any bag would look great on her but slay the day would just be so fab. That 'Slay The Day Sis' bag have that Gong Hyo Jin Vibe to it. So classy! I love the character shim cheong in the legend of the blue sea. She is one of the most beautiful actress I have seen and her fashion sense is one in a million. I love her looks and all the dresses she wears. She is a true goddess unlike me. I love all k drama character's but she is the best of them as per my sight. Would love to Slay the day sis like Chun Song Yi did in You Who Came from the Stars. Loved her fierce style and I could totally picture her sporting this bag. Her fashion slays the best and she shines in whatever outfit she wore. Yoon Soo Min on Heartless City always had amazing outfits and that Mini Flap would be the icing on the cake.